Gain a deep understanding of the economic, technical, commercial and geopolitical significance of the natural gas and LNG industries. 15 Barclay Street, New York, NY 10007. 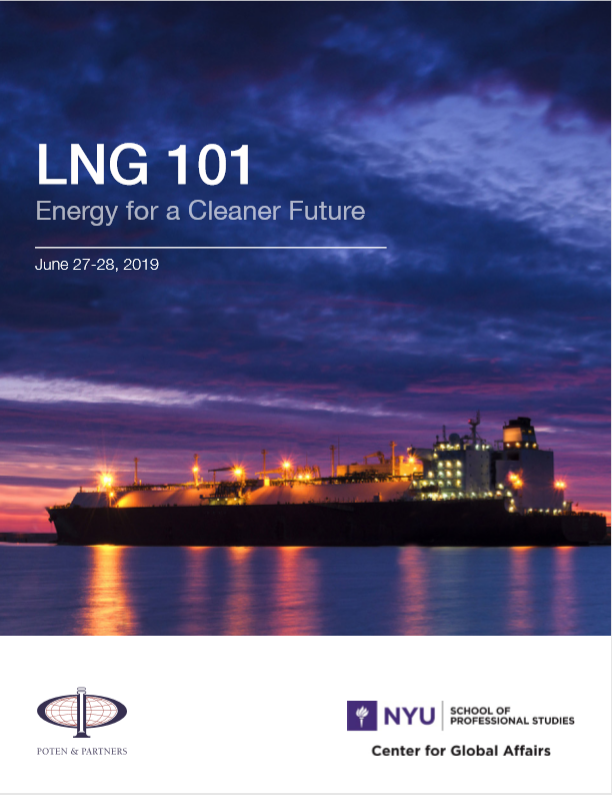 The course provides a robust overview of the LNG value chain from upstream development, liquefaction, shipping, regasification through to downstream market delivery. It also covers the contractual elements of LNG project development and provides an overview of the wider business environment, including project economics, commercial and regulatory issues, geopolitical risk and risk management. Save 10%* with the early-bird registration by signing up today! To download a copy of the course brochure, please complete the following form. New strategists, planners and analysts at government institutions focused on energy and energy infrastructure policy. For nearly 80 years, Poten & Partners has been providing its clients with valuable insight into the international oil, gas and shipping markets. We are a team of experienced brokers, commercial and technical consultants, all of whom specialize in the energy and ocean transportation industries. We have 180 professionals located on four continents, with offices in Houston, New York, London, Athens, Singapore, Perth and Guangzhou. Our global services include: ship and commodity brokerage, research, business intelligence, consulting, commercial advisory and business training. To make the most informed choices, you need knowledge. Our dedicated teams of experts not only produce in-depth research reports using our proprietary databases, but also apply decades of market expertise offering unparalleled insight. Through our rigorous M.S. in Global Affairs graduate program, Career Advancement courses and Diplomas, and through public events, we prepare global citizens who are at home in all of these environments—and thus are effective agents of change.